I live in Chicago. Toward the end of this year or next year I’ll be getting rid of my wife’s 2015 BMW 320i (it only has a 4 year/40,000 mile warranty which I want to stay under). I was thinking about leasing a Porsche Macan as she does not do much mileage and it’s under $700 a month to do so. What do you think of them? 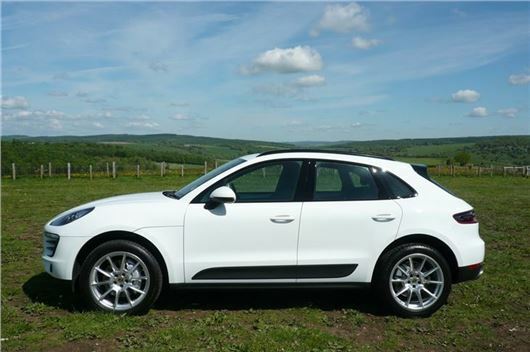 Is it basically a Tiguan with a Porsche badge at double the price? No, it's basically a much-improved Audi Q5, with a longitudinal drivetrain instead of the transverse drivetrain the Tiguan has, and V6 engines rather than straight fours. I like the Macan: /road-tests/porsche/porsche-macan-2014-road-test/ The diesel probably wasn't on your radar anyway, but they have stopped making these. I have been following your fascinating correspondence on the problematic DQ200 7-speed twin dry clutch DSG gearbox, which I have in our SEAT Leon 1.2TSI. We bought it new in 2016 and have had no problems, but I am confused by conflicting information on reliability and servicing. My garage tells me that the gearbox is not ‘sealed for life’. But they can’t tell me when an oil change is recommended. Also, I wonder if you know whether the original problems which seem to relate to the use of fully synthetic oil have been sorted? If the oil can be changed, should we specifically request this as at a future service? The DQ200 was designed to be 'sealed for life', which is why it was originally filled with synthetic oil. But the synthetic oil became conductive when it got very hot, fusing the Mechatronics and leaving the cars with no drive. So the cars were pulled back in for a 'service action' in 2012, which was to fill the transmission with mineral oil. Since 2012 all DQ200s have been filled with mineral oil. But this begs the question: "how long does the mineral oil last?" And that's why your guy is saying it will probably need a fluid change. Not as frequently as the other DSGs, which are wet clutch and in which the same oil is shared between clutch and gearbox. But it still can't last forever. I previously asked about changing my wife's 2007 Toyota Yaris 1.3 TR. You kindly replied, suggesting either a Honda Jazz or a Yaris Hybrid automatic. I feel that a hybrid might be surplus to requirements as my wife only does about 5,000 miles a year (1,000 is motorway driving). My situation has improved insomuch that I now feel comfortable spending somewhere in the region of £15k, after taking into account the part-exchange value of the Yaris, hopefully in the region of £2,000? I recently received a current brochure from Honda for the Jazz, and it now only shows a 1.3i-VTEC, as against the 1.4 previously quoted. I guess that this is a newer model. I had made my mind up to go and look at the Jazz, but since your original suggestions, I have noticed one or two adverse comments about this car, i.e. "noisy on the motorway" and as recently as last Saturday in the Telegraph, a "poor ride". In saying that, I could now afford to buy either the Jazz or a Yaris (not hybrid) new. Would that be a bad move as, apparently, you can lose quite a lot of the car's value once it is driven off the forecourt? Should I consider perhaps a 1-2 year old car? Would any other car be suitable for my wife, requirements would be a similar size to the current Yaris or slightly larger, 5-doors, petrol, automatic, similar performance and with a reasonable size boot. I am aware that the Jazz has the magic seats, which appear to be very useful. We have a 2010 Jazz 1.5iVTEC 120 5-speed torque converter auto in Thailand (a model also made in the UK for South Africa, but not sold in the UK). The ride is poor, but the accommodation is fantastic: considerably better than any other small car, with seats that fold to a flat floor, or rear squabs that fold upwards to accommodate tall things in the centre of the car. Does 40-45mpg. The 3rd gen Jazz in the UK shrunk to a 1.3iVTEC and is very slow, but very economical (I got 58mpg out of one). Honda has now launched a 3rd gen Jazz 1.5iVTEC 130 with 6-speed manual or CVT-7 at prices starting from just over £17,000: /road-tests/honda/honda-jazz-15ivtec-sport-2018-road-test/ (Yet another 2018 Honest John Award Winner.) Here's a test of the latest Yaris models: /road-tests/toyota/toyota-yaris-2017-range-road-test/ Ford has said it is putting a 6-speed torque converter auto into the latest Fiesta, but I have yet to see any physical evidence of this. Suzuki offers both the Swift and the bigger Baleno with its 1.0T Boosterjet engine and excellent 6-speed torque converter automatic transmission. I was travelling to Stourbridge one Friday night at about 6pm in total darkness and heavy rain. Visibility was poor at best. I came across a MINI doing about 60mph in lane one with rear lights. On passing, I noticed the only lights to the front were small running lights. Despite switching my lights on and off, she carried on oblivious. This was the third car we had passed from the M42 onto the M6 M5 in a similar situation. I appreciate that intelligence in the country is going down but it’s time to do away with these daytime running lights because they are leading to more dangers than they set out to prevent. Some manufacturers are now fitting DRLs front and rear, including KIA and Peugeot/Citroen. I didn't know that MINI did too. But better to fit DRLs front and rear than only at the front. Means other drivers will still see both ends of the car if the driver forgets to switch the headlights to automatic. There have been some recent cases where drivers of automatic cars have apparently pressed the accelerator to the floor instead of the brake and have careered out of control with tragic results. Something like this happened to me some years ago when I was in my early forties. I had changed the front brake pads on my Rover P5B automatic saloon, a job I had done before on other cars, but this time I forgot to ‘pump up’ the brake pedal when I had finished. Later that day I drove off down my road and touched the brakes to slow down for the corner but my foot went straight to the floor and my right knee locked solid as if it had a mind of its own. My first instinct was to try to steer out of trouble but this would have led me downhill towards a brick wall opposite a T-junction. Fortunately another part of my brain gave me the sense to pull on the handbrake to bring the car to a safe halt facing a large tree. Only then did my right knee unlock enabling me to pump up the brakes. Maybe a psychologist could explain why I did not instinctively pump up the brakes instead of trying to push the brake pedal through the floor and why those drivers continued to press down on the wrong pedal. It is a conditioned reflex? I am glad that my current Vauxhall Zafira Auto requires me to press the brake before taking it out of ‘Park’ so I instinctively press the brake pedal of any car that I now drive (auto or manual) before driving off and when I remember, try to left foot brake as you have suggested. The problem is the irresponsible advice given to automatic drivers to drive 'one footed' in case they confuse the brake pedal with the clutch. Unless an automatic car has 100% effective autonomous braking, the only way to remain fully in control of it at all times is to drive right foot for the accelerator and left foot for the brake. This also enables automatic drivers stop a lot faster and in a lot shorter distance than manual drivers from low speeds. And if you had been driving right foot for the accelerator and left foot for the brake your left foot would have known to pump the brakes on the occasion you describe. I am considering changing my 1-year old Evoque SE Tech TD4 with 5,000 miles for either a Jaguar E-Pace P250 AWD or an R Dynamic S D180AWD. Can you comment on my choice but in particular advise on choice of wheels. Do I stick with 17 inch on the P250 or 18 inch on the D180 or will the ride be spoiled by either 19 or 20 inch with all weather tyres? On the basis of the problems with Evoque and Discovery Sport diesels that share the same floorpan and engine, do not get a diesel. Also stick to 17-inch or 18-inch wheels with 60 or 55 profile tyres, no lower. I run a 2006/56 VW Golf R on standard 18-inch wheels with 225/40 section tyres. In order to protect the wheels and tyres on our badly potholed and poorly repaired local roads, could I switch to a smaller wheel and higher aspect ratio tyre without spoiling the roadholding and handling? If so, what would you recommend? You can't go smaller wheels with the Golf R because of the size of the front brake discs and callipers. So no way you can move from the 40 profile tyres. But Pirelli P-Zeros have a protruding ridge around the sidewalls to protect the sidewalls and rims to some extent. Damage from potholes to vehicle tyres, wheels and suspension is becoming an ever-increasing problem. However, is this damage exacerbated by shock absorbers being made too stiff? Most modern cars of all shapes and sizes now seem to give quite a harsh ride. Much as we love our little 8-year old KIA Rio, we feel every bump particularly at slower speeds. The main reason is low profile tyres. If your tyres are 60 profile or deeper it is unlikely that the car will suffer pothole damage. If the tyres are 45 profile or less then damage to tyres and wheel rims is highly likely and you will feel sharp shocks. I have a budget of £20k and will be replacing our 20-year old Audi A6 in July. We do 11k miles pa. We want auto and a Euro6 diesel estate. Current candidates are Audi A6, Volvo V90 and Mercedes E-Class. Are there any petrol autos to compare? Although a V90 is over budget, I'm hoping it may come down to £20k as I like the safety kit on it. Help? What would be your choice? My previous Skoda Octavia 2.0TDI 4x4 did not need Adblue, even the Vrs version, which emitted 134gms/km did not need it. So I was surprised that the new Karoq with a similar sized engine and 4x4 emitting 138gms/Km does need it. The question is, does that make the Karoq a cleaner vehicle than the non-Adblue using Octavia? Cleaner in NOx, yes. By September all new diesels except Mazda Skyactivs will need an SCR system and AdBlue to pass EU6D Temp / WLTP emissions regs. The speed recording on my Satnav is 3mph less than the reading on my speedometer. Which is likely to be the more accurate. The satnav on a straight, flat road because it measures by GPS your speed across the surface of the earth. I would like to replace my 2012 Suzuki SX4. I am thinking of buying a new Honda CR-V 2-litre petrol model. There are 2 sets of tyres: 17-inch or 18-inch. Which would you recommend as I sometimes pull a trailer. I would not get a new C-RV just yet, except at a massive discount of £5,000+ because a new one was announced at the Geneva Motor Show. Both 17-inch and 18-inch wheels are okay because they have an adequate depth rubber around them. The 19-inch wheels don't. The plus point of a MINI Countryman is ease of entry and egress, and a spacious 5-seater interior. But all models that do not have All4 four wheel drive handle like ordinary hatchbacks. Nothing special to drive at all. Best to avoid the diesels. A friend has a Countryman All4 Cooper S and it's okay. I was recently involved in an incident whereby a 17-year old driver crashed in to the front of my VW Tiguan whilst stationary at traffic lights. I found it puzzling when Enterprise car rental phoned me to advise they would be supplying me with another vehicle whilst my car was being repaired. They then proceeded to ask me most of the questions that More Than (my insurance company) had previously requested. I pointed out that I had already given this information to More Than, but they advised they also needed it too. It was only on collecting the vehicle the next day (a Hyundai Tucson) that I was made aware that the hire was on a credit basis depending on the assumption that the other drivers insurance company (Tesco) would pay for the hire. It took 25 days for my vehicle to be repaired and I returned the Hyundai on the same day. I was then presented with the invoice that totalled £2,920. The other driver’s insurance company had already admitted full liability for its client, but I was still shocked at the size of the bill. I have also been contacted by two ‘ambulance chaser’ law firms who were actively trying to get me to lie about the injuries sustained in the accident by the occupants (4 adults and one infant). It is no wonder that insurance prices continue to rocket when this kind of profiteering goes on. More Than has also advised that my car insurance will increase, even though it was a ‘no fault’ incident. There really needs to be further regulation of the conduct of these vultures who make a bad situation even worse for Joe Public when buying car insurance. I've been warning about Credit Hire for at least 10 years, but no one pays any attention until it happens to them. Sad that it has not been stopped. Vested interests again. They control what really happens. Why do people think that a hire car is there right after an accident and are quite happy to run up a £2920 bill and expect someone else to to pay it. BP. Our car was written off last year when another driver went through a junction and despite the Police saying he was 100% at fault we decide that it wasn't a good idea to have a hire car as we could end up paying for it. It took over 7 months for the other insurance company to decide that they were to blame for the accident and of course we would have had to pay the car hire up to that point. People need to think before jumping in and hiring cars even if they think the other driver is at fault. ONLY HIRE A CAR IF YOU ARE WILLING TO PAY IT. I understand your point but what are you supposed to do if you are a one car household? Then you have no car. Most people would find it difficult to be without a car for a week never mind couple of months. The answer is to establish at the outset exactly who is paying if the other insurance company does not. If it's a cut and dried case where the other driver is at fault, then contacting the other driver's insurance company directly will often prove fruitful, as they will bend over backwards to get you a (admittedly fairly basic) courtesy car and your car repaired and returned to you asap. Unfortunately so many people cannot see the bigger picture, and if involved in an accident not their fault milk it for all its worth, ie brand new equivalent credit hire vehicle to pose in for a month or more and then some juicy undeserved compo down the line, easily putting another zero on the total claim cost, then they wonder why their insurance renewal is knocking on the door of 4 figures. I have been working for a large car insurer and I can tell you this. Your insurer wil coax you into a like or like replacement car. In reality you have been referred to these sharks in exchange for a kickback the insurer makes. You are then unknowingly signed into a credit hire agreement. Think of it as taking out a credit card then maxing it out on hire charges. The bigger the hire bill the bigger kickback to the insurer. While we all concern ourselves with reducing personal injury claims, the credit hire companies are making an absolute killing with the average cost of hire claim running into the thousands. As car insurance is a legal requirement, it needs to be nationalised and we need to pay for it like we pay for N.I. These private insurance companies are profiting from something which is compulsory upon the car drivers. The whole industry is grossly unfair. If your car gets damaged by someone else while parked unattended and you claim from your own insurer, you will be penalty in your premium because you are seen as underwriting risk. Just plain pathetic! I am majorly disappointed that HJ continues to promote Japanese cars in view of the fact Japan flagrantly ingores the International Whaling Commission's ban on whaling, especially in the South Atlantic Ocean Sanctuary. I appreciate many people are not bothered by the IWC's ban nor Japan blasting whales with explosive tipped harpoons then allowing them to die a slow drawn out death but, these are probably the same people belly aching over the really trivial and tedious VW 'dieselgate scandal.' We do not even treat animals slaughtered in the UK to be treated like this. You may be could make an exception for Japanese manufacturers whose cars are made in the UK being exempt although personally, I would not buy anything from them. I am majorly disappointed that HJ continues to promote Japanese cars in view of the fact Japan flagrantly ingores the International Whaling Commission's ban on whaling, especially in the South Atlantic Ocean Sanctuary. I appreciate many people are not bothered by the IWC's ban nor Japan blasting whales with explosive tipped harpoons then allowing them to die a slow drawn out death but, these are probably the same people belly aching over the really trivial and tedious VW 'dieselgate scandal.' We do not even treat animals slaughtered in the UK to be treated like this. You may be could make an exception for Japanese manufacturers whose cars are made in the UK being exempt although personally, I would not buy anything from them. By your words, anyone who doesn't actively campaign against whaling should be boycotted. There are MANY things that countries around the world allow their people and firms to do that are bad (to me at least), never mind the state-sanctioned nasties. Many countries in the Middle East are fighting proxy wars and often killing thousand (if not many more) civilians in the name of religion, dogma, ego or all three, yet I don't see you wanting to boycott their oil sales, never mind what the likes of Russia & China seems (in my opinion) to be doing as regards bullying neighbours, etc, or how Venezuela is treating its own citizens, for example. Germany has been just found out to be, with the full knowledge of the EU Commission, engaging with Russia in an apparently illegal 'sweetheart' deal for natural gas that means it gets a huge discount, paid for by higher prices for other European nations, and often ones that (to me at least) Russia has its 'eye on' to regain influence by bullying tactics and more. Why not call for a boycott of German cars in that case? Japanese car makers make cars - they don't hunt whales. You may find some actively support environmental campaigns, or at the very least employees do. Don't tar another nation with one brush. Far better to politely (after all, that's what most Japanese people value) persuade the Japanese people to stop whaling by showing them hard facts about the damage its doing. They are a democratic country and are more likely to listen to reason than shouty protests and calls for boycotts, which tend to only work on dictatorships. Whale oil was traditionally used as a lubricant in automatic transmissions, certainly in the US, and heavy machinery. Car insurance is not what it was. At one time there were underwriters who calculated the premium to cover you, but today it has been computerised and there is a premium based on a limited set of conditions. That is why there are now so many new insurance brands all targetting their niche market. If your details do not fit their target then they will not offer you a quote, quite often if you honestly declare a claim within 5 years then they are not interested. So much for choice you finish up using the expensive brand where they may still use underwriters. Driving automatics, while I agree with your views on 'two footed' driving, surely the traditional 'double width' brake pedal encourages the 'one footed' (and potentially dangerous) style?